SEAMAN JOB INFO - Posted/Feb/2019 Wilhelmsen Smith Bell Manning, Inc. Opening careers for Filipino seafarers crew join on Passenger Cruise, LPG, Bulk Carrier Vessel deployment A.S.A.P. 38th & 39th Floors Petro Mega Plaza Bldg. 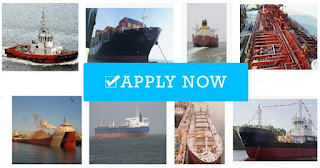 358 Sen. Gil Puyat Ave.
0 Response to "Hiring Crew For Cruise, LPG, Bulk Carrier Vessel"